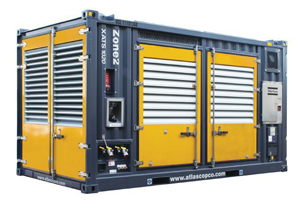 Types of air compressors include reciprocating and rotary screw, however, compressors can be classified even more specifically into oil flooded or oil free, and single stage or two-stage. A compressor for highly specialized medical uses has different requirements than a heavy-duty compressor used in a manufacturing plant. So, whether you desire a reciprocating or rotary screw compressor, your job requirements will need to be carefully considered to determine the specific type of these compressors you need. Oil flooded or oil free is a consideration that needs to be made, if your industry needs a higher level of air purity than basic industrial applications. Most types of air compressors are oil flooded and use oil to not only lubricate parts, but to also help seal in air. Oil flooded machines can generally operate at higher psig, but oil free compressors are vital in industries that require extremely pure air output. Oil free compressors prevent oil from coming in contact with the compressed air to prevent contamination. Medicine, electronics, and food processing are some example of industries in which oil contamination cannot be tolerated. Businesses that use compressed air for painting also need oil free output. Another important compressor classification is single stage or two-stage. The main difference between the two is in their psi. Single stage compressors are smaller and produce compressed air in one action, and have a maximum psi of around 130. This is ample pressure to power most pneumatic tools and to handle most light industrial uses. For applications requiring a maximum of approximately 170 psi, a two-stage compressor is the unit you need for efficiency. A&W Compressor has been selling and servicing compressors for more than 25 years, and we have experience with all types of air compressors to make sure you have the exact machine, oil flooded or oil free, single or two-stage, you need for maximum efficiency and production quality. For more information on the right type of compressor for your operations, call or e-mail us today.